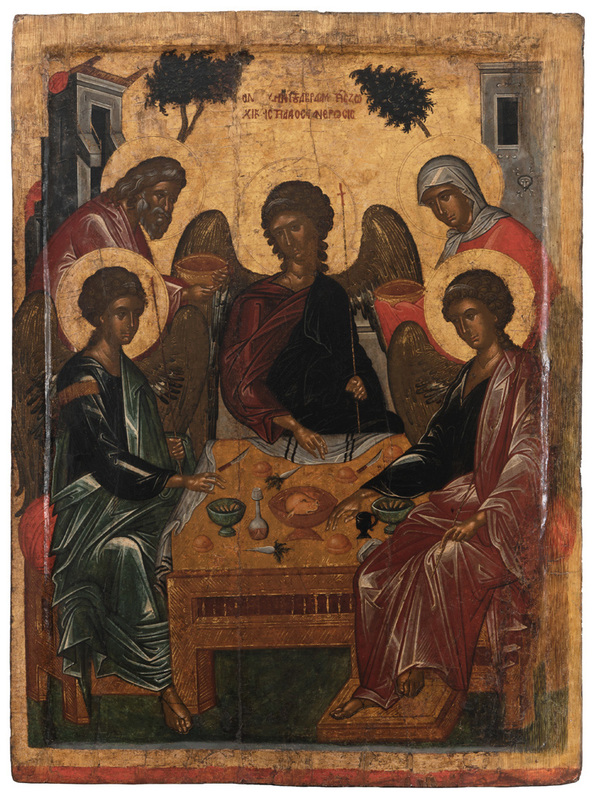 On 24 June 2016, as part of the Year of Greece in Russia and Russia in Greece 2016, the exhibition Byzantium through the Centuries opened in the State Hermitage as one of the main events of this cross-cultural year. The items included in the exhibition span the whole lifetime of Byzantine culture, from the early centuries to the fall of Constantinople to the Turks in 1453. They comprise sculpture; fragments of floor and wall mosaics; fragments of frescoes; bronze liturgical vessels; gold jewellery; cloisonné enamels; a unique two-metre 13th-century Shroud of Christ from Thessaloniki; illuminated manuscripts of the 10th-15th centuries, many of which are famous examples featured in books; and, of course, painted icons of the 12th to mid-15th centuries, supplemented by a unique mosaic Virgin Episkepsis.